Bishop Jeff brings interesting experience and education to the priesthood and Christ Church. His religious training began after he retired from the Army. He received seminary training at Sewanee: The University of the South, and Trinity Theological Seminary. After completion of graduate training in Greek and Hebrew through Valley Forge Christian College, Bishop Anderson was ordained as first a deacon and later a priest. He was received in the EMC in 2006. He was elected Bishop for the Armed Forces for the EMC in 2014 and was consecrated a bishop on February 14, 2015. Bishop Anderson was previously the Chairman, Department of Behavioral Sciences, at the University of Valley Forge, Woodbridge Campus. Bishop Anderson's secular experiences and education provide an interesting framework for relating ecumenical topics to modern events. Fr. Anderson is a 1974 graduate of the U.S. Military Academy at West Point. He holds graduate degrees in psychology, counter-terrorism, and international relations from the University of Washington, The Army Command and Staff College, and the Army War College. He is currently serving as a member of the Senior National Intelligence Service where he was previously the Chief Learning Officer of the US Intelligence Community and now serves as a Mission Manager for the National Intelligence Manager for Iran, having completed a broad military and counter-terrorism career with more than 45 years of experience. Bishop Anderson lives in Burke, Virginia with wife Debi Gower. Dr. Turner attended the Scott School of Theology. 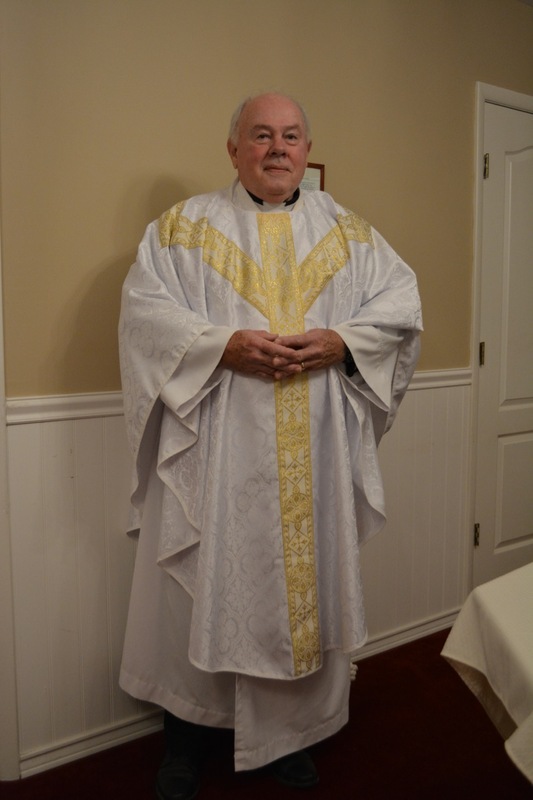 He has served a member of the vestry, a lay reader, a lay Eucharistic minister, and as the parish chancellor for Christ Church in Warrenton. He is also the chancellor for the Diocese of the East. Fr. Brian was consecrated a Canon of the Diocese of the East by Bishop McLaughlin on October 7th at Christ Church in a full Scottish ceremony. Brian Turner was raised in northern New York State. He was both Valedictorian and the Outstanding Athlete of his high school class. In college, he studied geology earning a B.S. at the University of Rochester, an M.S. at Yale University, and a Ph.D. at the University of Kansas. He was also a starting linebacker on his college football team. He served on active duty in the Air Force from 1967 to 1971 performing specialized navigation duties on a C-130 and coordinating worldwide remote sensing research. Following his time in the Air Force, Dr. Turner entered Albany Law School and earned his J.D. He was admitted to the NYS Bar to practice before the Federal District Court NDNY in 1975. He practiced environmental law and general law in Plattsburgh, NY, until 1979, when he accepted a position as a geology professor at George Mason University. In 1985 he joined TRW as an electrical engineer using his combined interests in geophysics and radio theory. He held a number of engineering positions in support of both the military and intelligence communities. Father Brian lives in Woodstock, Virginia with his wife Martha. Jim Craft was born at Cherry Point Marine Air Station in 1956, was baptized a Roman Catholic and attended Parochial schools in his early years. After his confirmation, the family started attending the local Church of Christ. He attended George Mason University and upon graduation, like his father, grandfather, great-grandfather served in the US Marine Corps. He was commissioned in 1978 after graduation from George Mason with a degree in Business Administration. He was the first officer in his family. He married Miss Joanne Beck in 1979. His two children Jennifer and James were born later during his period of active duty at Ft. Belvoir. After his active duty, he moved back to Northern Virginia in 1983 to work as a government contractor and completed three more years in the Marine Corps Reserves. 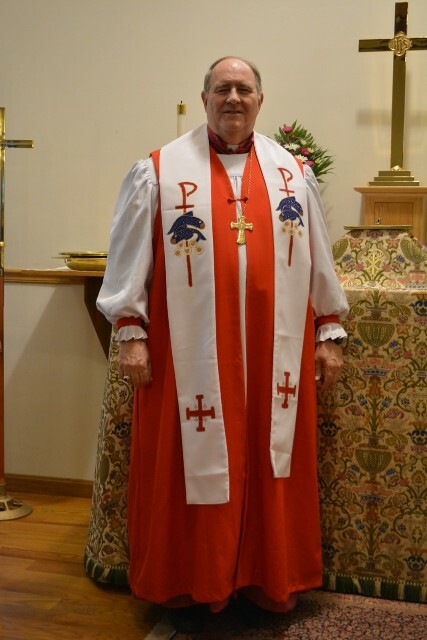 He was received into the Episcopal Church in 1984 and became heavily involved with various lay ministry opportunities as a Lay Eucharist Minister, Lay Preach and later a Lay Evangelist. In 2001, he was asked to serve as a chaplain for a Civil War Reenacting Unit. Shortly after,F Jim and Jo led Historic Faith Ministry, conducting historically accurate Victorian Era church services and historic themed evangelistic outreaches at living history events, historic sites, and schools. In June of 2015, after thirty years in Manassas, Virginia, Jim and Joanne moved to their current home near Orlean, Virginia. Shortly, after arriving in Fauquier County, Jim and Joanne transferred their membership to Christ Church in Warrenton, Virginia. 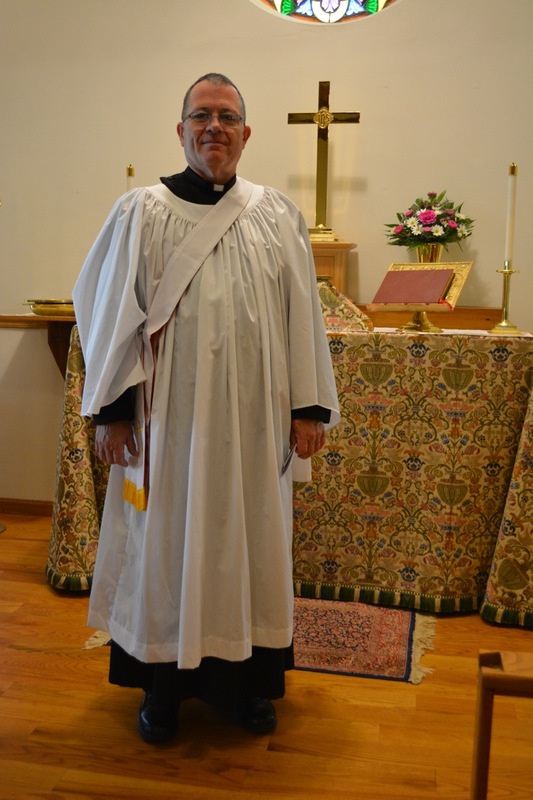 Jim read for orders and was ordained a Priest in September 2018. Jim serves in various roles, including conducting services at area assisted living communities. The Reverend Jim Craft assists with many of our church services. He also works prominently with our outreach programs and at three local nursing homes in Warrenton, Virginia.